This community play will be devised, written and performed by residents of all ages from this estate, celebrating their lives, the estate’s diverse cultural backgrounds, community cohesion, and hopes for their future. The idea all started when Teesdale and Hollybush Tenants and Residents Association (TRA) said they wanted to have more fun and creative activities in their hall and to do something that brings the whole community together – and we’re thrilled that this project will soon be kicking off! 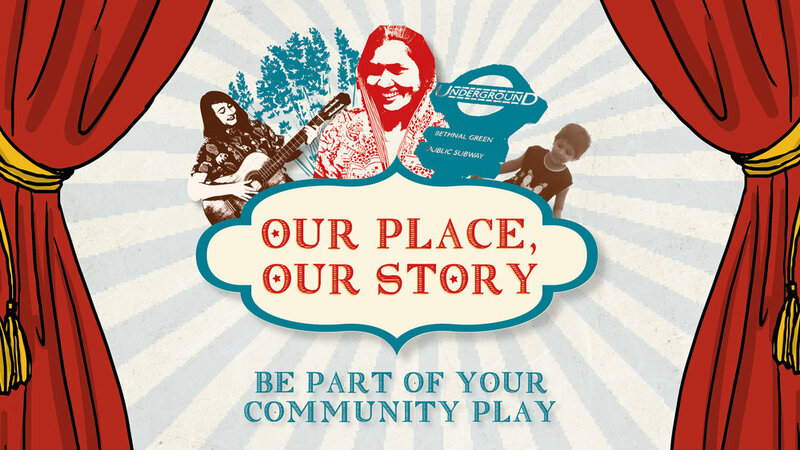 "Our Place, Our Story" will come to life during weekly workshops that will take place at both Kedleston Walk Community Centre, based on the estate, and also here at St. Margaret’s House. These workshops are starting on 24th April, and will then take place every Wednesday from 4.30-6.30pm, and will lead to two celebratory performances in August, one in each location. Director Jessica Amery will be supporting participants in devising this play. Jessica is experienced in devising performance in many art forms and communities. She has directed for Jacksons Lane Theatre, Arcola Theatre, and Central School of Speech and Drama. Alongside her theatre experience, she also runs fortnightly social lunches in supported housing schemes for older people, making her the perfect fit to be Artistic Director of this project. We are looking for people of all ages and backgrounds from Tower Hamlets Homes and other local friends to be involved, whether that'll be as actors, or helping out behind-the-scenes, or even front of house! You do not need to have any experience, just a willingness to join in and have fun. It is FREE to take part, due to support from Tower Hamlets Homes, who have awarded St. Margaret’s House a grant from their “Inspiring Communities” Fund to deliver this celebratory community play. “Our Place, Our Story” offers the chance for you to unleash your creativity and make new friends, and we’d love for you to join us in celebrating your community. To find out more information, and to be a part of your community play, email Jessica at: community@stmargaretshouse.org.uk.